Anyone that enjoys tinkering with their vehicle might be interested in a new car hacking platform called the CANBus Triple which has been developed by Derek Kuschel. 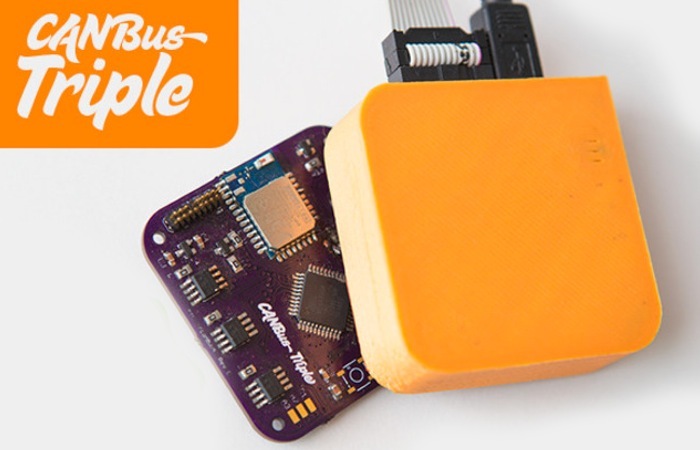 The CANBus Triple has been designed to provide an Arduino style device for your car that can be used to record, measure data and add awesome functionality to your vehicle. Watch the video after the jump to learn more about the CANBus Triple project and see it in action. “CAN (Controller Area Network) Bus is a message-based protocol found in modern automobiles carries tons and tons of data all around your vehicle while you drive. Most of this data is hidden, and this forces lots of automotive enthusiasts to install secondary sensors to receive the data that is already available in your car! I set out to change that. CAN Bus was created way back in 1986, and was later mandated by the US Government to be included in all vehicles built in 2008 and beyond. Chances are your car utilizes this modern protocol. Simply put – CANBus Triple gives you an easy way to read and write raw CAN data packets, and perform operations with that data easily. It’s your personal, programmable CAN node. 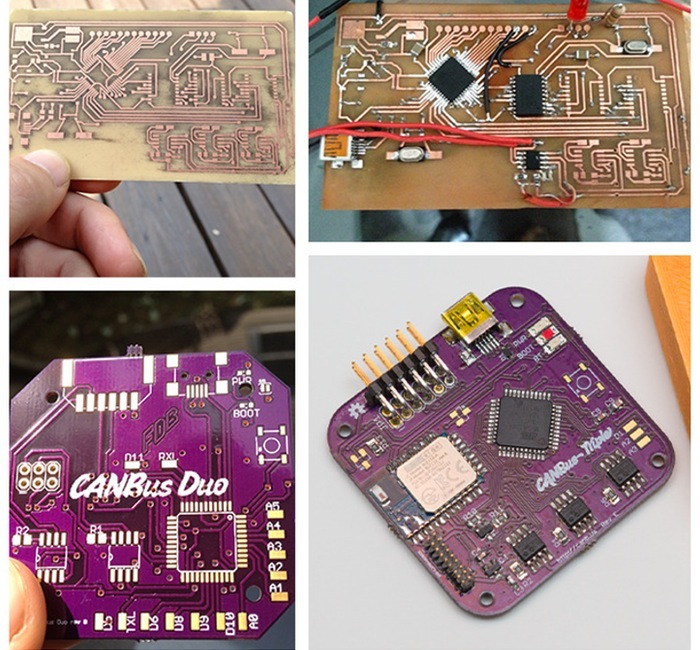 The CANBus Triple uses an ATMega 32u4 microprocessor, and Bluegiga Low Energy Bluetooth module, and three independent Microchip MCP2515 CAN controllers. You can use the CANBus Triple to simply watch all the data on your CAN Bus, or send your own packets out to the network. Simply attaching the two CAN High and Low lines it’s all you need to send and receive raw CAN data packets. So if you think CANBus Triple s something you would like for your vehicle projects, visit the Kickstarter website now to make a pledge and help CANBus Triple become a reality.